The new Act, he said, also provides disabled persons with the right to sue any defaulter for damages at any court of competent jurisdiction. The Nigerian government has outlawed all forms of discrimination against persons living with disabilities. 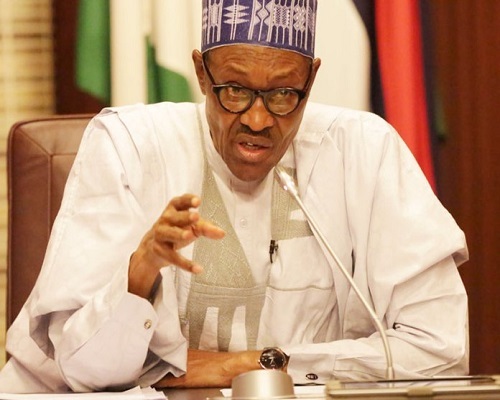 The confirmation of this was contained in a statement issued on Wednesday by Senator Ita Enang, the Presidential Liasion Officer to the National Assembly (Senate), where it was noted that by assenting to the Discrimination Against Persons with Disabilities (Prohibition) Act, 2018, President Muhammadu Buhari has outlawed all forms of discrimination. The new Act prohibits all forms of discrimination against such individuals and imposes a punishment of a fine to the tune of N1,000,000 for corporate organisations and N100,000 for individuals. The Act also imposes a six-month jail term for individuals who violate the provisions of the Act concurrently. The statement read: “It provides for a five-year transitional period within which public buildings, structures or automobiles are to be modified to be accessible to and usable by persons with disabilities, including those on wheelchairs. "A government or government agency, body or individual responsible for the approval of building plans shall not approve the plan of a public building if the plan does not make provision for accessibility facilities in line with the building code. An officer who approves or directs the approval of a building plan that contravenes the building code, commits an offence and is liable on conviction to a fine of at least N1,000,000 or a term of imprisonment of two years or both. "The rights and privileges include education, healthcare, priority in accommodation and emergencies. Furthermore, all public organisations are to reserve at least 5% of employment opportunities for these persons. The National Commission for Persons with Disabilities is also established in Section 31 with Executive Secretary as the head."